Signed, lined and dated by the author. 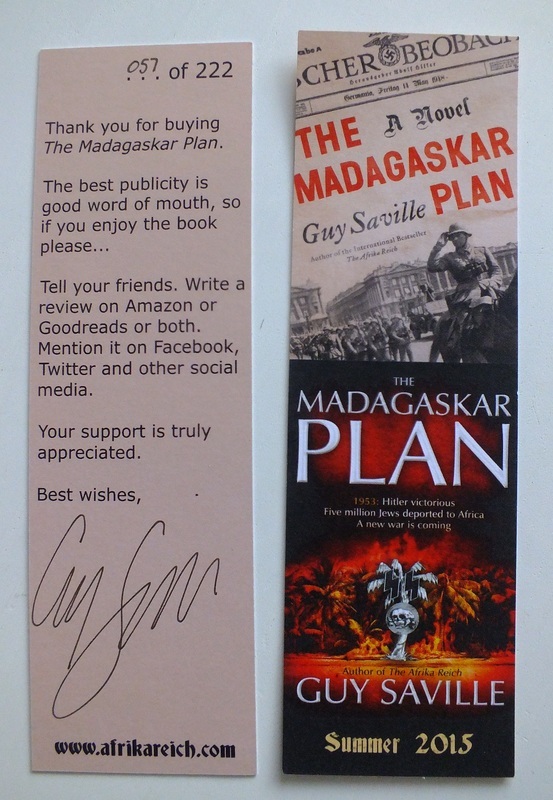 With limited edition bookmark signed by the author. Synopsis : 1953. Britain and her Empire are diminished. 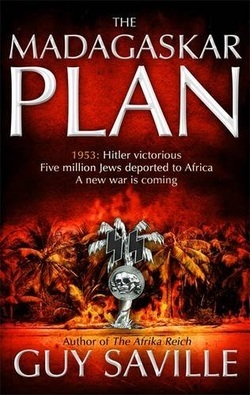 Nazi Germany controls Europe and a vast African territory. There has been no Holocaust. Instead, the Jews have been exiled to Madagaskar, a tropical ghetto ruled by the SS. Returning home after a disastrous mission to Africa, ex-mercenary Burton Cole finds his lover has disappeared. Desperate to discover her, he is drawn into a conspiracy that will lead him back to the Dark Continent. Meanwhile Walter Hochburg, Nazi Governor of Kongo, has turned his attention to Madagaskar. Among the prisoners are scientists who could develop him a weapon of unimaginable power. But Hochburg is not the only one interested in Madagaskar. The British plan to destroy its naval base to bring America into a war against the Reich. They have found the ideal man for the task: Reuben Salois, the only Jew to have escaped the ghetto. The only one brave, or foolhardy, enough to return. Drawing on the Nazis' original plans for the Jews, Guy Saville has meticulously imagined a world-that-nearly-was to tell an epic tale of love, revenge and survival.